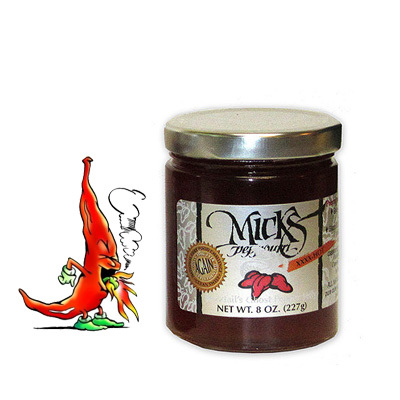 This is the hottest pepper jelly ever produced. Not for the faint of heart, this jelly is only for those that can't get it hot enough. This is not an extract. Made from Naga Jolokia or Bhut Jolokia, originating in India, this pepper jelly will light you up. Hotter than 100% Habanero jelly, this will make any dish burn.